SHARK DIVING HOTSPOTS: MONAD SHOAL, MALAPASCUA. Species: Pelagic Thresher Sharks, Whitespotted and Banded Bamboo Sharks and Coral Catsharks. Encounter: Pelagic Thresher Sharks visit Monad Shoal near Malapascua Island at dawn. This is a natural encounter on a reef and sand slope at around 60 to100ft. The threshers show up to be cleaned by a variety of reef fishes at multiple cleaning stations along the reef. Divers traverse the reef until they find a cleaning station with sharks present and then they hunker down and wait for the sharks to close the gap. Rebreathers are probably an asset but open circuit divers also get very close passes from some of the threshers. Whitespotted and banded bamboo sharks and coral catsharks can sometimes be encountered on shallower reefs around Malapascua and surrounding islands. 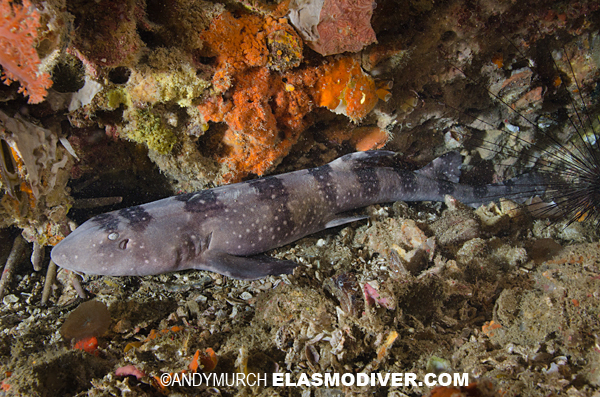 It really helps if you enlist an experienced local Dive Master who knows where to look for these small shy animals. Whitetip Reef Sharks are also commonly encountered at Gato Island which is about 1hr from Malapscua. Gato is also very good for macro photography. Operators: There are endless dive shops crammed onto the tiny island of Malapascua. 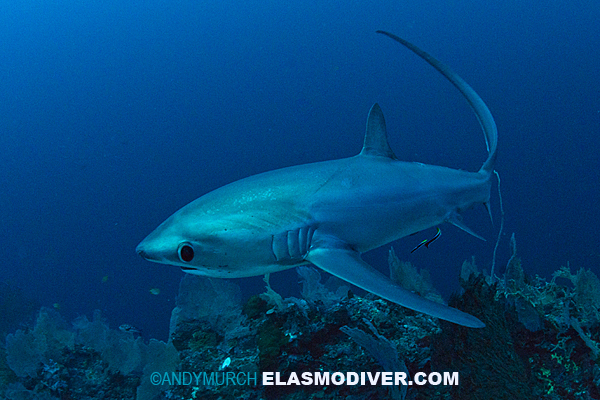 Of these, Thresher Shark Divers is one of the largest and most respected. Accommodation: Land based. There are plenty of accommodation options on Malapscua. Tepanee Beach Resort is close to Thresher Shark Divers and has some very nice cottages built along a hillside overlooking the Visayan Sea.